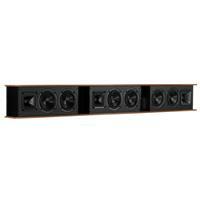 The Klipsch Heritage Theatre Bar was engineered to provide a low-profile design that can deliver a true high-fidelity listening experience in a premium, easily installed, handcrafted package. 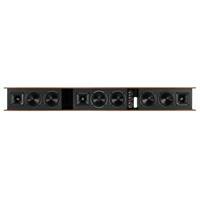 Leveraging the latest advancements in Klipsch proprietary acoustic technology, the Heritage Theatre Bar is able to emit the sonic performance of a three-speaker system, but within a single housing. 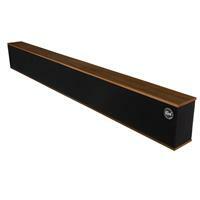 Finished with real-wood veneer and a beautiful grille cloth, the Klipsch Heritage Theatre Bar far exceeds any other sound bar – both aesthetically and acoustically. 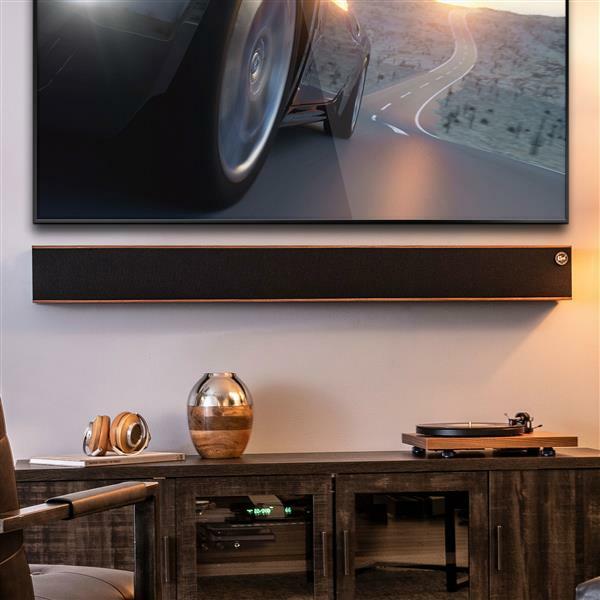 The Heritage Theatre Bar is a passive LCR sound bar that blends the acoustics and classic, nostalgic design legacy of founder Paul W. Klipsch with the most premium materials and latest technologies available today. Assembled in the USA, the Heritage Theatre Bar is the perfect combination of sonic performance and architectural elegance. 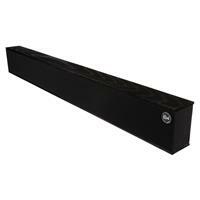 Its 49.5” standard length is perfect to match a typical 55” diagonal TV. 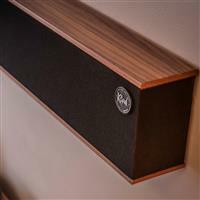 The Heritage Theatre Bar utilizes furniture grade wood veneers and is available in American Walnut and Satin Black Ash. The Heritage Theatre Bar features a built-in rail mounting system that, when combined with the wall-mount cleat (included), provides a wall-mounting system that is only 1 /4” deep. 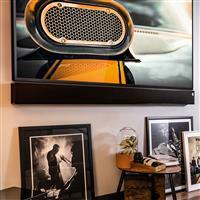 The built-in mounting rail allows the theatre bar to be easily be centered with a wall-mounted.